When we distinguish API 5L PSL 1 and PSL 2, we learn it from this 5 aspects: in Chemical Properties; in Mechanical Properties; in Manufacturing; in Inspections and defect repair; in certification & tractability. First, what is PSL stands for? 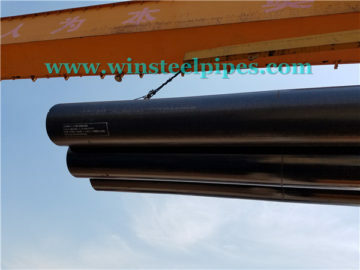 An API 5L line pipes manufactured in two varieties PSL 1 and PSL 2. But what is PSL stands for ? PSL is short for Product Specification Levels. 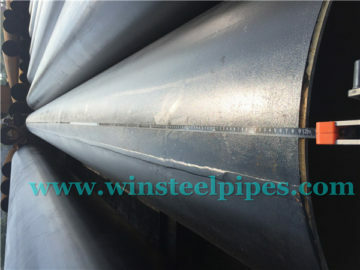 Pipes are used in different types of environment such as corrosive and non-corrosive. If pipes used in sever corrosive environment required material that can withstand such process condition. 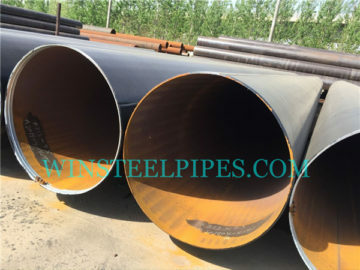 If pipe used in a high pressure condition required weld seam withstand such requires. 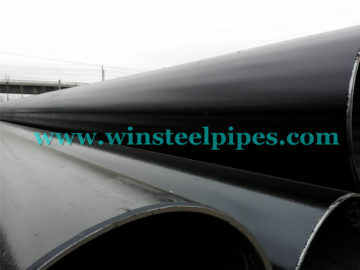 On other hands for normal services, a standard quality level pipe will meet the purpose. That’s why there are two product levels. 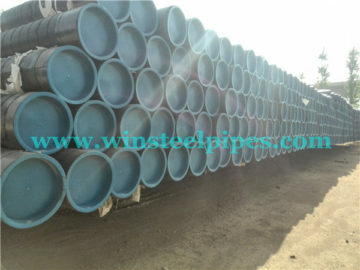 We can choose according to the condition which pipe used and be economical. In API 5L specification, what are the main differences between API 5L PSL 1 & PSL 2? We compare them in these 5 aspects. ② Three elements change when requirements change from API 5L PSL1 and PSL2. First element is Carbon. Similarly, for welded PSL1 pipe Maximum Carbon is 0.26% for the grade B & higher. For all grades of PSL2 welded pipes maximum carbon is 0.22%. The second element is Phosphorus. For PSL1 pipe, Maximum Phosphorus is 0.03% for the grade A & higher. 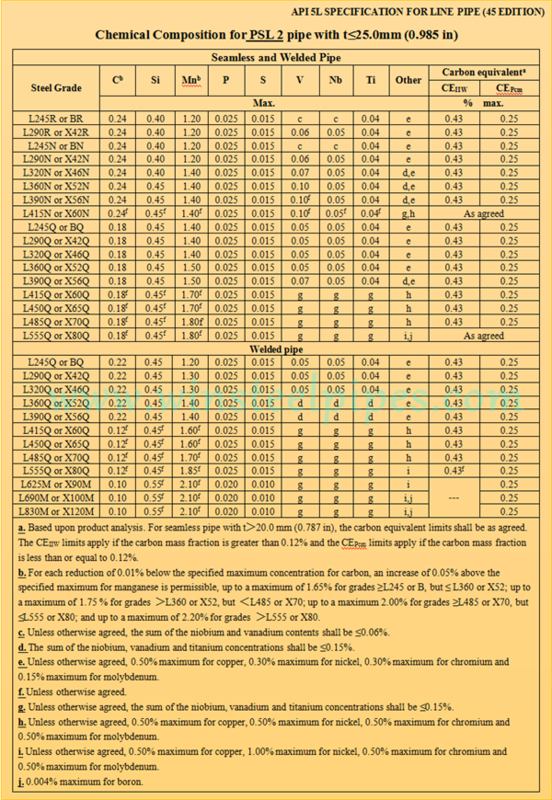 For all grades of PSL2 pipes, maximum Phosphorus is 0.025%. So, the only difference is a grade lower than A. The third element is Sulphur. 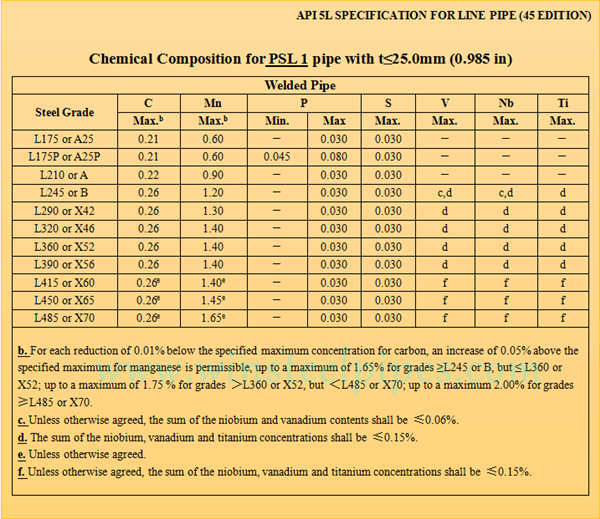 For PSL1 pipe, Maximum Sulphur is 0.03%. For PSL2 pipes maximum Sulphur is 0.015%. For PSL 1, steel grade range from A25 to X70; For PSL 2 steel grade range from Grade B to X120. But for LSAW of our company, PSL 2 range from Grade B to X80. For PSL 1 its size range from 0.405″ to 80″. For PSL 2 its size range from 4.5″ to 80″. 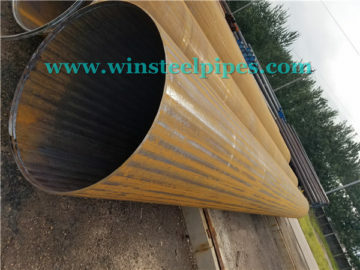 But for LSAW pipe, it range from 16″ to 56″. All kinds of welding method are acceptable to manufacture PSL1; however, continuous welding is limited to Grade A25. 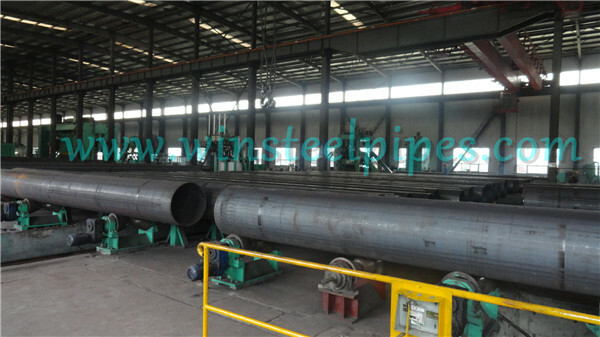 For PSL2 welded pipes, except continuous welding and laser welding, all other welding methods are acceptable. 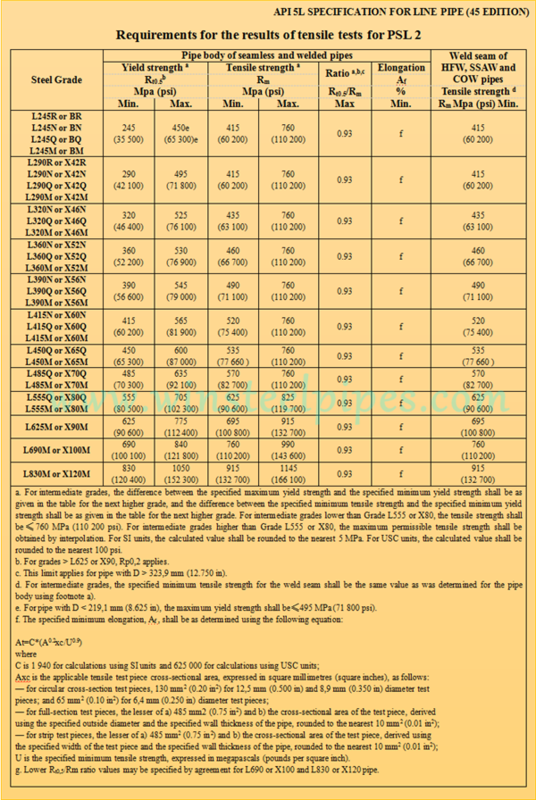 And for electric weld welder frequency for PSL2 pipe is minimum 100kHz whereas there is no such limitation on the PLS1 pipe. 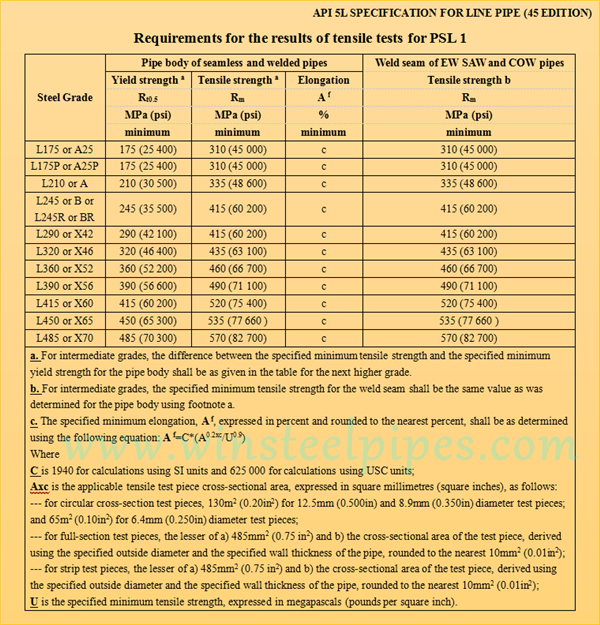 Heat treatment of electric welds is required for all Grades of PSL2 pipes whereas for PSL1 pipe, it is required for grades higher than X42. Non-destructive inspection of a seamless pipe is mandatory for PSL2 pipe whereas for PLS1 pipe it is supplementary requirements. Repair of pipe body plate and skelm by welding is not allowed in PSL2 pipes whereas it is allowed in PSL1 pipes. Similarly, weld repair without filler metal is not allowed in PSL2 pipes whereas it is allowed with purchaser’s permission in PSL1 pipes. For PSL2 pipes, Traceability & Certification is mandatory. In short, PSL1 pipes are standard quality pipe for normal services and PSL2 pipes are higher quality pipe than PSL1. 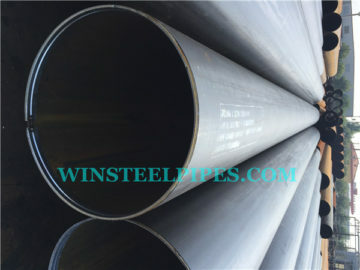 PSL 1 is a loose standard quality for line pipe, whereas PSL 2 contains additional testing requirement, stricter chemical physicals, along with different ceiling limits of mechanical properties, and require Charpy impact testing conditions. From this 5 aspects we can distinguish API 5L PSL1 and PSL2. 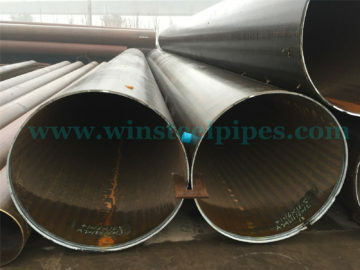 This tells the exact requirements for API 5L standard pipe. API 5L specification is suitable for transporting gas, water, and oil, and is usually found in the hydrocarbon petroleum and natural gas industry. 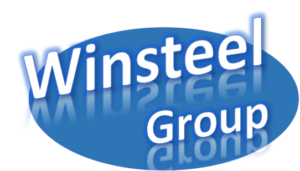 Winsteel Group is a professional LSAW steel pipe manufacturer, we have API 5L certificate. And if you want to learn more about us, please see this.